Do you know what challenges your peers face? What are the technology priorities for insurance companies in 2011? Joe Pomilia will review the state of the Insurance Industry and will share updates and future plans for the Insurance Accounting and Systems Association. Ruth Fisk, Worldwide Managing Director, Insurance Solutions Group, Hyland Software, Inc.
Today's economic climate is challenging insurance companies beyond the usual obstacles. To come out ahead of competitors, you must combine time-tested basics with innovations. Only when you combine industry best practices with current technology can you reduce expense ratios, increase efficiency and provide exceptional customer care. Private consultations will be available and you are welcome to tour the aquarium after the meeting! 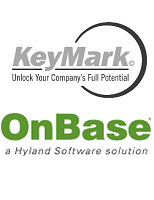 Questions and/or follow up information: Victoria Newman, KeyMark, Inc.